HCM CITY — Leading business groups in the Asia Pacific region recently set up a comprehensive cooperation programme called M2030 that aims to raise awareness about and funds to combat malaria in the region. 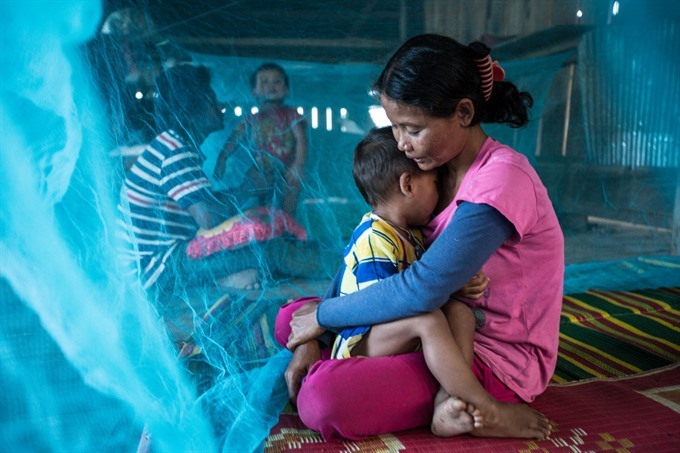 M2030 is based on the initiatives of international healthcare organisations, companies, leading groups and the public, in a unique partnership that aims to eliminate malaria in Asia by 2030. Under the programme, companies and groups target approaching 46 million people in the region in the next three years, and hope to raise a million dollars for the fund for malaria prevention in the region. Even small gestures made by companies and consumers, like buying certain goods each day, will also contribute to preventing malaria, which affects many families in developing countries. Participating companies will use the logo M2030 on all their products and information channels. The profit earned from products with the logo M2030 will be contributed to The Global Fund to support countries where the fund operates. Companies and organisations taking part in the programme are Indonesia’s Tahir, Thailand’s DT Families; Shoppee, an online shopping platform, Dentsu Aegis Network and Yoma Strategic Holdings of Myanmar.